Winter Park and Orlando renters saw a 5 percent increase from December to January, ranking them No. 5 and No. 6 nationwide. 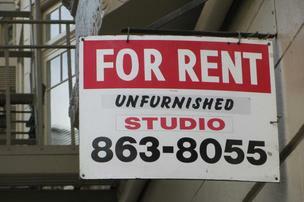 If you live in Winter Park or Orlando and are a renter, guess what? You’re in two of the markets that have seen the biggest rise in rent in the U.S. between December 2015 and January 2016, a new report from Abodo shows. Winter Park and Orlando renters saw a 5 percent increase from December to January, ranking them No. 5 and No. 6, respectively, on Abodo’s list. Bakersfield, Calif., posted the sharpest rise at 7 percent, followed by Mesa, Ariz.; Tucson, Ariz.; and Richmond, Va. According to Abodo, although apartment construction is on the rise nationally, the top 10 states in the country account for the lion’s share of all activity, with about two-thirds of the national multifamily construction. Those top five states include Texas, New York, California, Florida and Washington, according to the U.S. Census Bureau. The U.S. multifamily housing sector is expected to add some 480,000 new units this year, according to the 2016 Dodge Construction Outlook. That’s up 11.6 percent compared to the 405,000 units that were forecast to be completed in 2015. A report out in December by RealtyTrac also showed that metro Orlando joins 58 percent of U.S. housing markets where buying is more affordable than renting, even though home sale prices are rising faster than rental rates in 55 percent of those markets. Homeowners in the Orlando area spent an average of 35.4 percent of their wages on housing, while renters coughed up an average of 43.4 percent, the RealtyTrac data showed. The rule of thumb for years has been that monthly housing costs shouldn’t exceed 28 percent of gross monthly income.